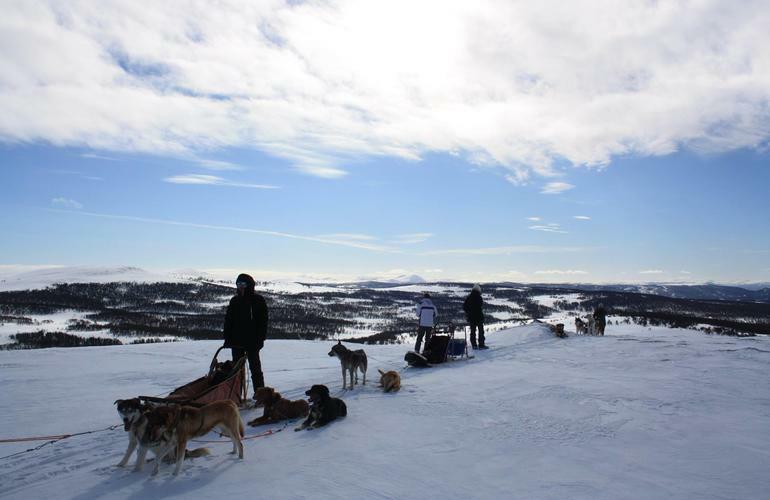 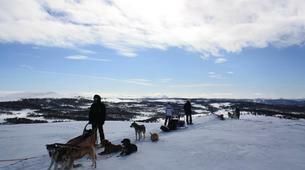 Enjoy a half day or a full day mushing excursion in Varangerhalvøya National Park with Nanouak Dogsledding! 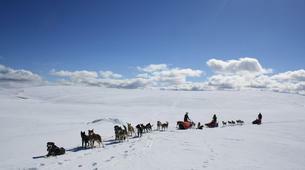 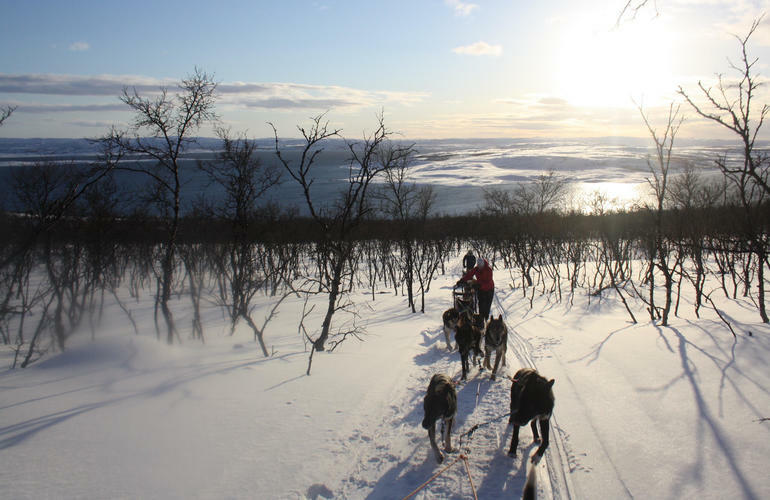 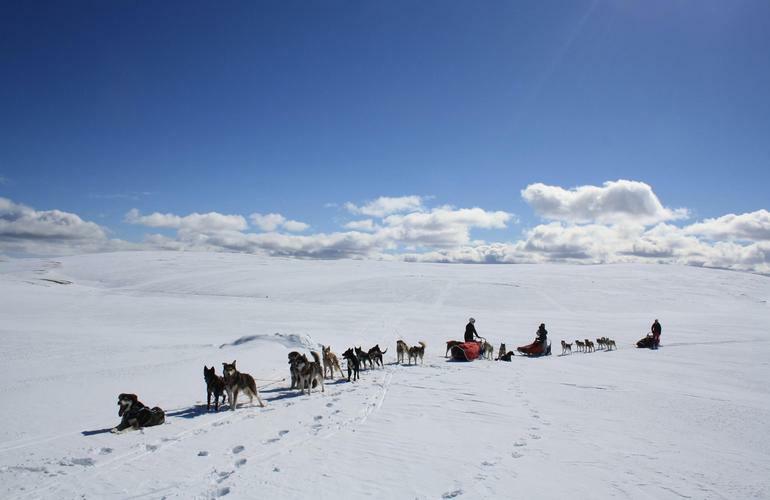 David Godin, your musher at Nanouak Dogsledding Norway, offers you half or full day mushing excursions to discover the wonderful landscapes of Varangerhalvøya National Park, close to the taiga, tundra and Arctic coast. 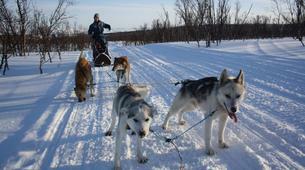 David and its 32 Alaskan Huskies have participated to the French movie The Last Trapper, produced in 2004. 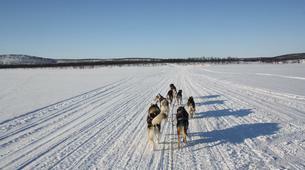 He also participates to long distance races such as the Femundløpet, Finnmarksløpet and many others in Scandinavia. 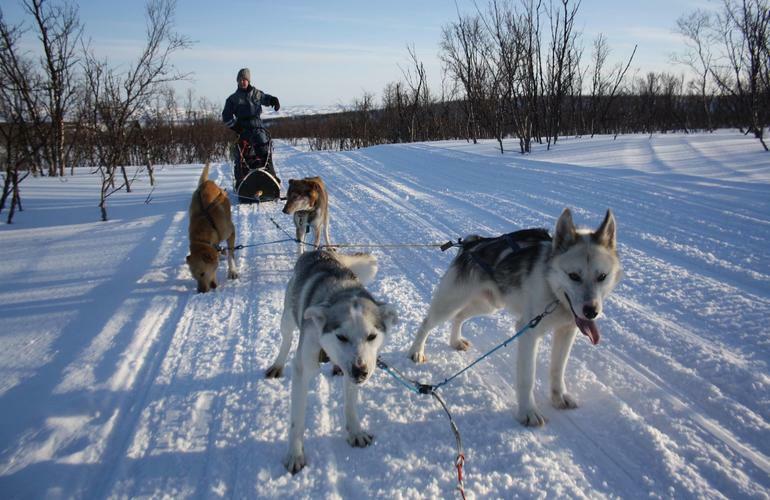 He knows the surroundings very well and thanks to his experience and his wonderful dogs, he will make you feel confident and safe during your outing. 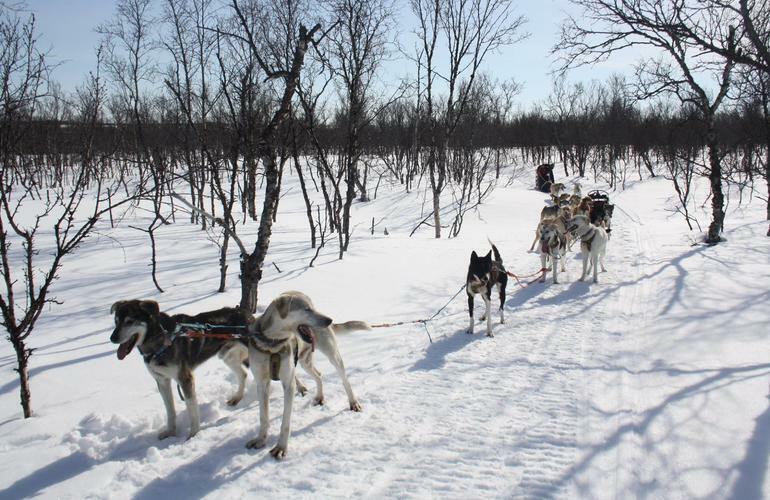 For the full day excursion, the meal is included! 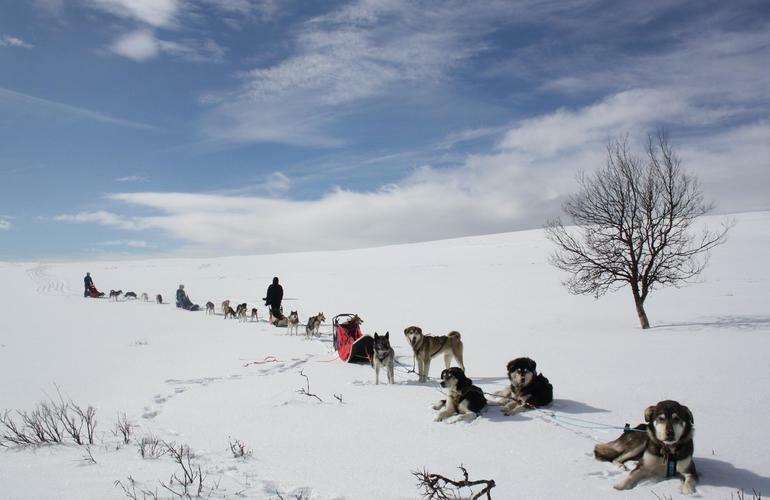 The mushing excursion lasts about 3 hours (9am to 12pm or 1pm to 4pm). 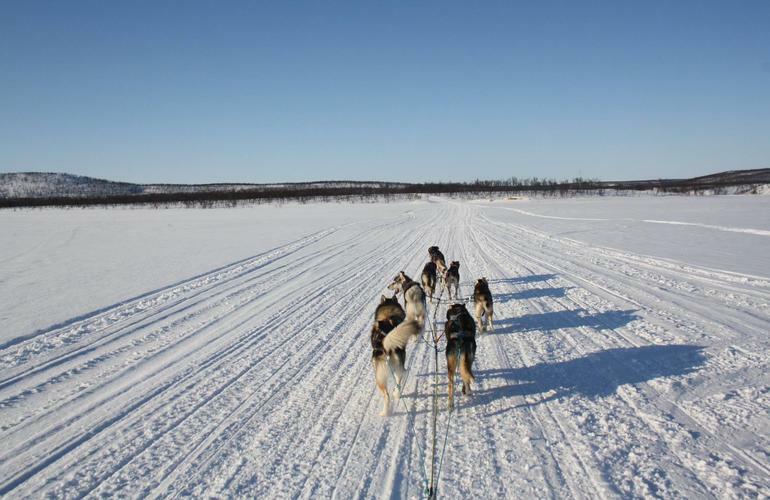 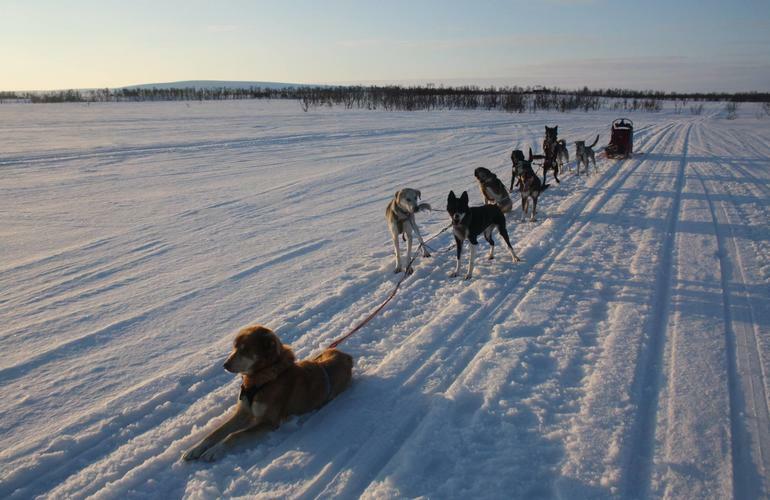 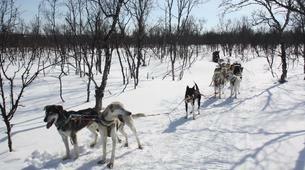 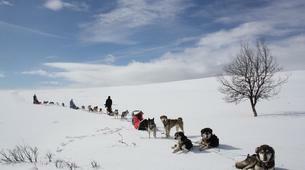 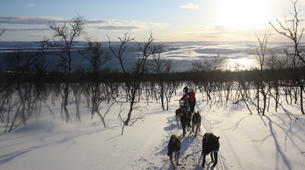 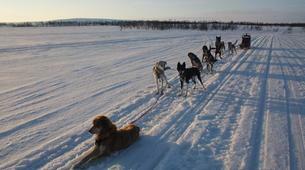 The mushing excursion lasts about 7 to 8 hours (from 9am to 4/5pm).